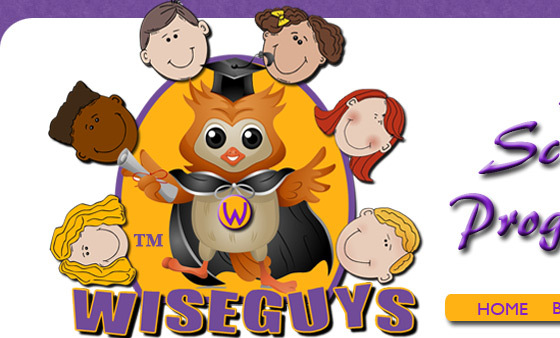 The WISEGUYS program is an exciting and focused scripture memory program for children, churches, homeschoolers, small groups & families. The visualized verses, musical chorus and character building story are all centered around the character quality and definition for the month. 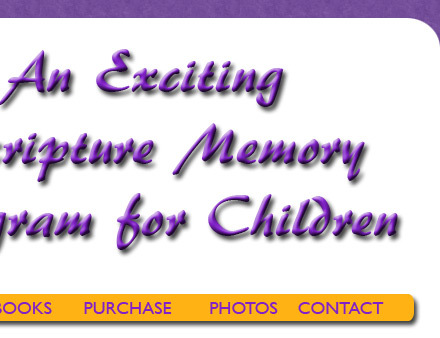 The children memorize 4 Bible verses for each theme. On the 5th week, the children quote all 4 verses. We call this Celebration Week and they are rewarded for their hard work. Our Character Building Story centers around a young boy named Tommy. Tommy has a heart for God and desires to please Him in his daily life. Each week Tommy is given an opportunity to put into practice the lesson that is taught and the scripture he has memorized. This a very important part of the WiseGuys program because it teaches the children that God's word is to be put into practice, or obeyed, in their lives. The short, lively chorus is easy to learn and gives the children something to sing about. It has been brought to my attention that we memorize with one side of our brain, and we sing with the other side. Each month the children's minds are saturated with the word they have memorized and reinforced with the song they sing. The children have two take-home papers every week. The first sheet has the picture that is related to the verse, and the character quality/definition; the memory verse and the words to the musical chorus. On the second sheet the scripture verse is visualized for the children. We started WiseGuys a few years ago and it has been a huge blessing to our kids and church. The workers are as excited about it as the kids. Two of our 1st graders asked Jesus into their heart and are getting baptized. I can't say enough great things about the program or recommend it highly enough.